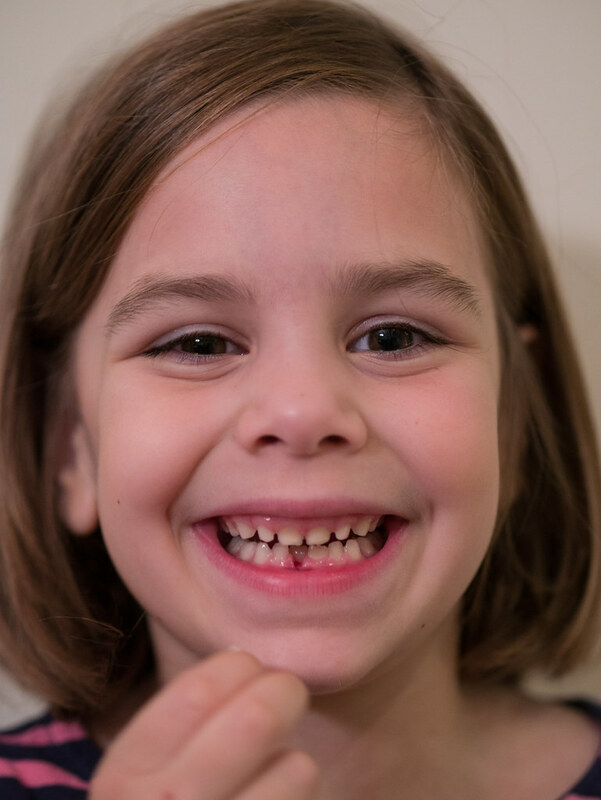 Leah finally lost her second tooth last night. It’s been wiggling for more than 3 months, and hanging on by a thread for the past few days. Yesterday evening, Jen looked at her and told her jokingly she just needed to pull it out. So, she grabbed it and did so. 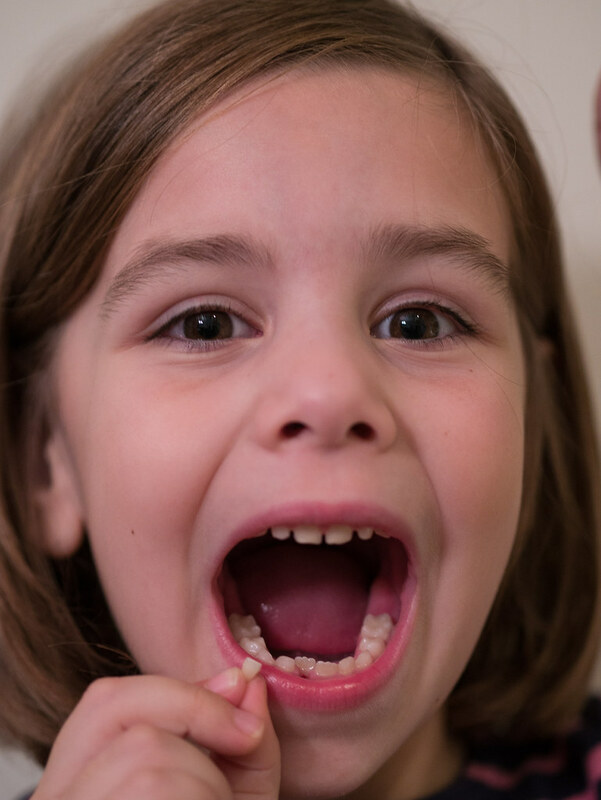 As you can see, her permanent tooth had already come in almost entirely behind her baby tooth. Hopefully it migrates forward a bit on its own, though I’m guessing it’ll eventually need some orthodontic assistance. This past Sunday was a busy one for us. First up, Molly’s choir sang at the 9:30 service and I accompanied them. But that wasn’t all for Molly in that church service. 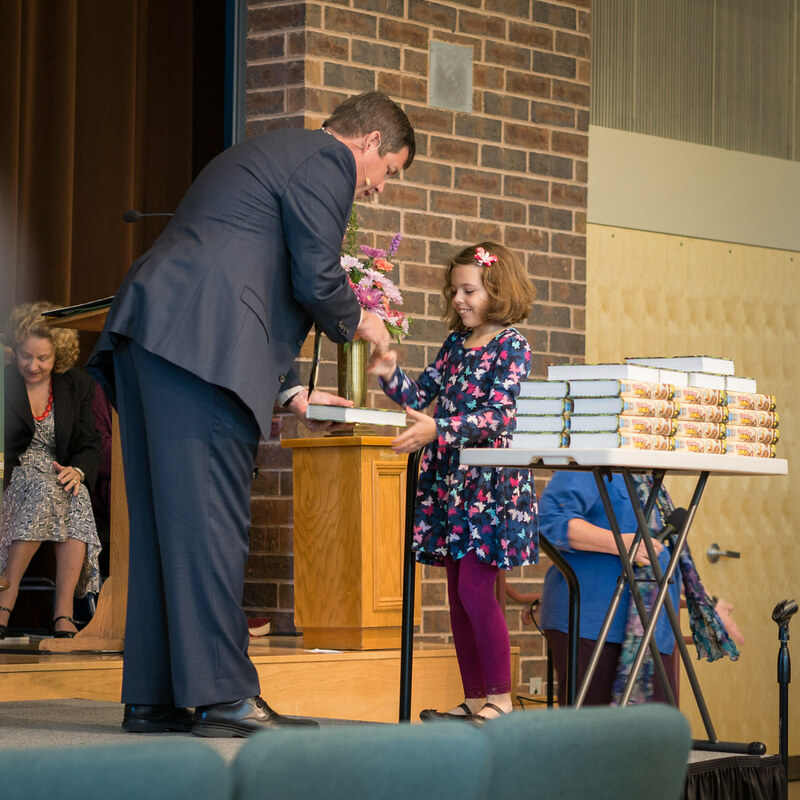 In the Methodist church, we have a tradition of presenting 3rd graders with their own Bibles. It’s a milestone, and Molly was very excited to experience it. Here she is getting her Bible from Pastor Matt. 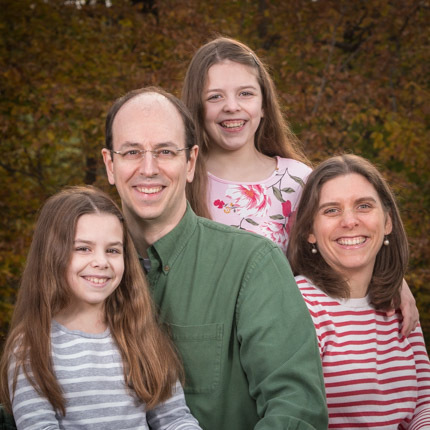 In addition to that, Leah had choir practice, I led music at Children’s Worship (which Molly attended as well), and Jen taught Sunday School (which Leah attended as well). It was a busy morning. In 3rd grade in Howard County schools, kids can join the orchestra. Molly, like many of her classmates, was excited to do so. 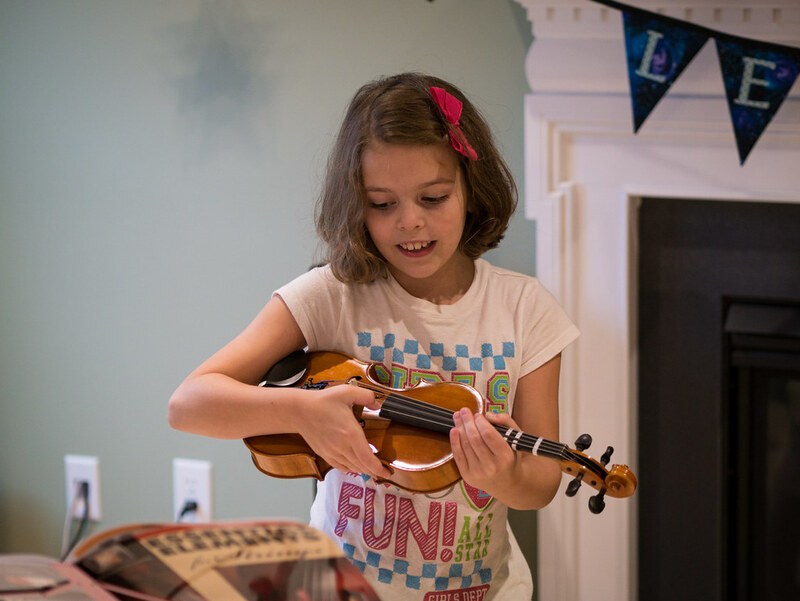 She chose the viola as her instrument, and has just started lessons. They haven’t gotten the bow out yet, but she’s learning the strings. Here she is playing the “DAD” song, which is called that because it bounces back and forth between the D and A string.